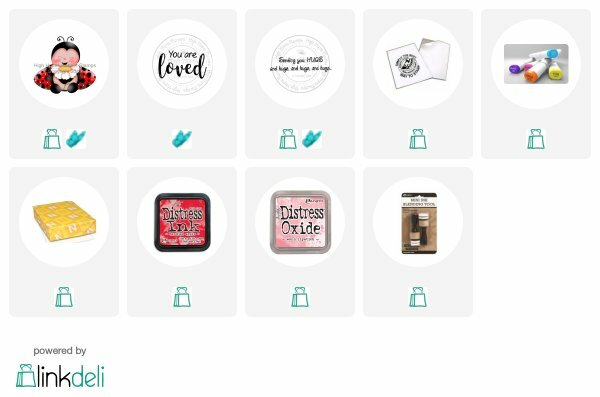 High Hopes Stamps: You Are Loved! 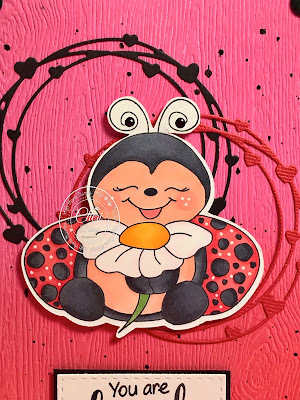 Valentine's Day is a two days away so I thought it was the perfect time to get this cutie out of hiding LOL! 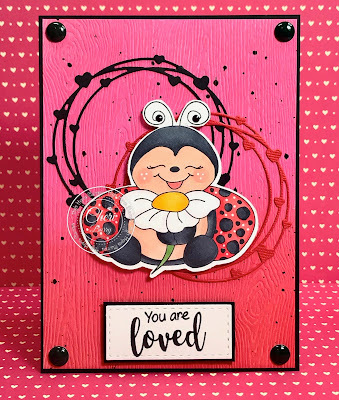 Meet "Ladybug Love" from High Hopes Stamps! She is just so stinking cute! 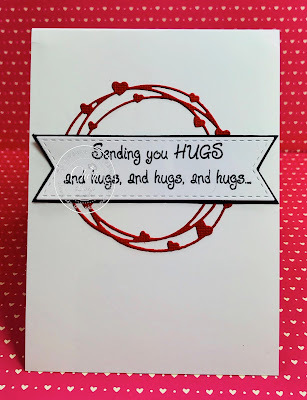 I created my own background using distress Oxide Inks in Candied Apple, Picked Raspberry and Worn Lipstick on some Tim Holtz Distress Woodgrain paper. 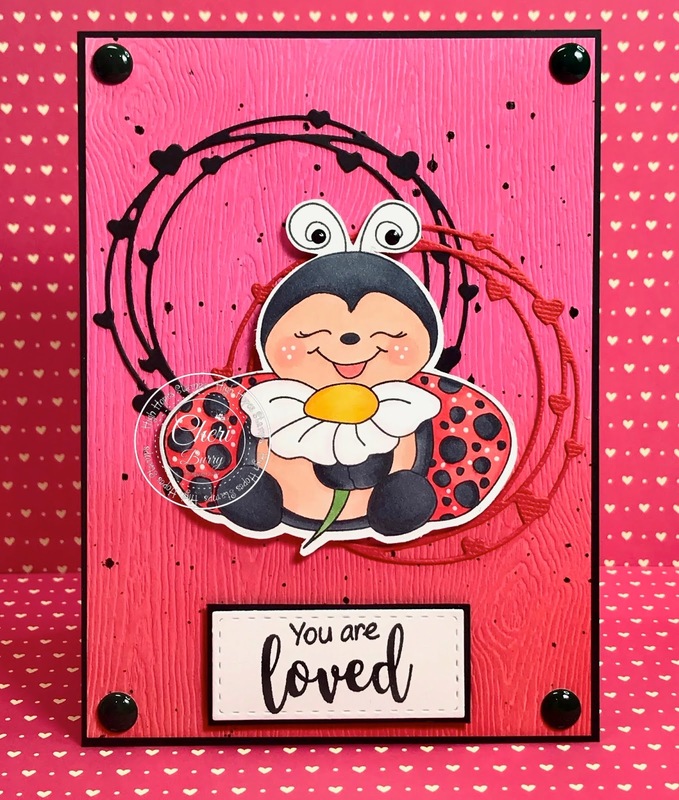 I added some ink splatters using Ebony Black Nuvo Drops, water and a paintbrush. I also used the Ebony Black Drops on her antenna. 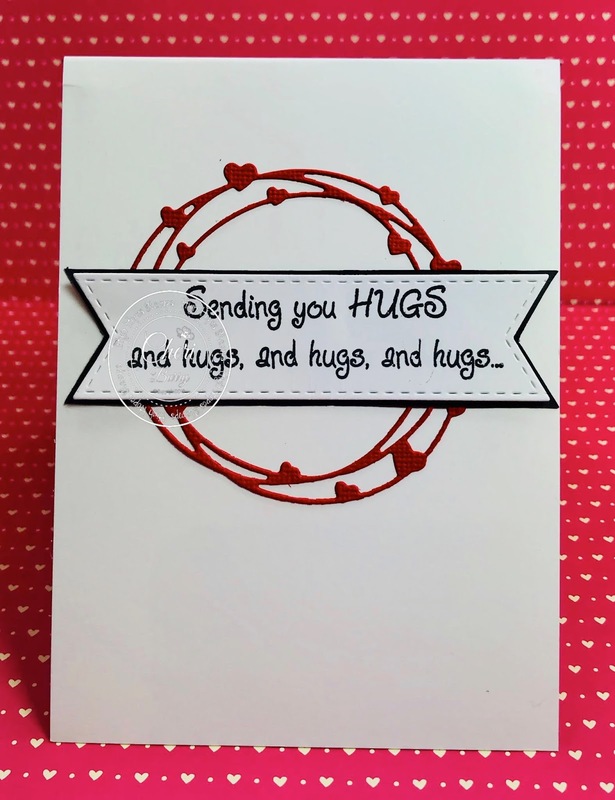 The "You Are Loved" sentiment on the front is also from High Hopes. A few die cut heart circles and enamel dots help to finish off my card. Happy As Two Pigs in Mud!